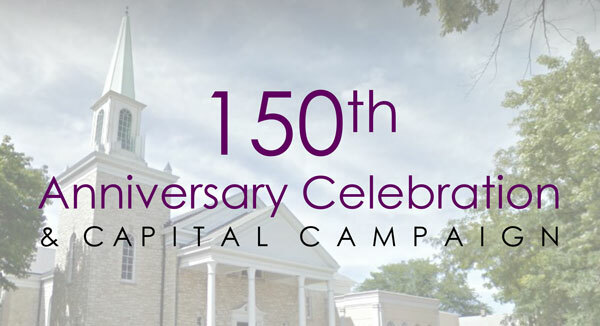 WHY A 150TH ANNIVERSARY CAPITAL CAMPAIGN? 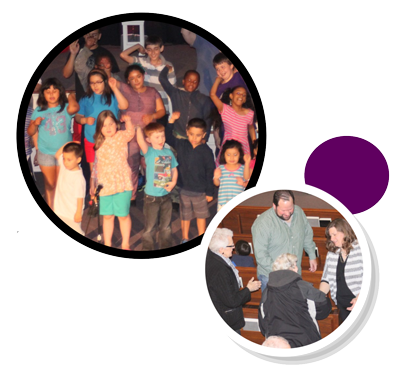 pantry, its Youth Ministry and programs, its Men’s and Women’s Small Groups, its new Justice Initiative, new prayer gatherings (Community Evangelism), and intensive discipleship. 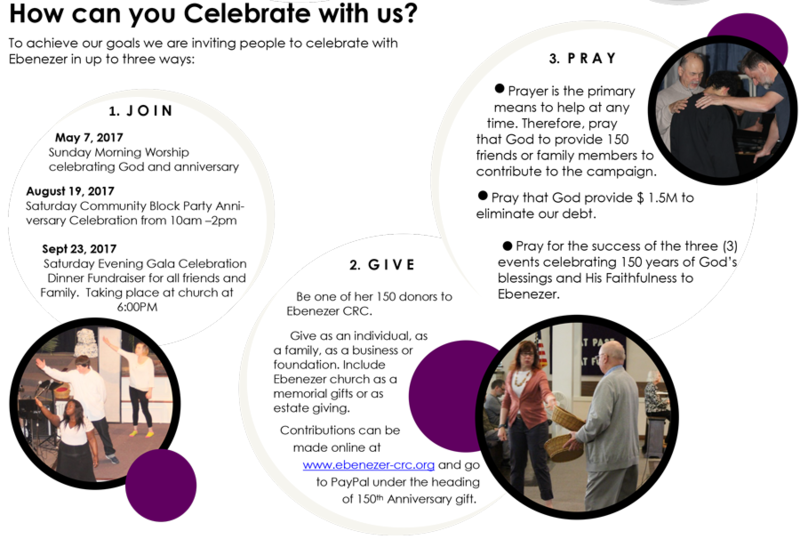 Ebenezer has to free up its current financial resources to grow in ministry by bringing in new qualified staff in strategic positions, i.e., a second Youth Director, an Administrative Coordinator, a Church Planter, a young adult singles director. 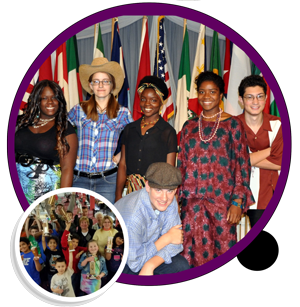 Ebenezer is focusing on energizing God’s people for local and global missions through leadership development training, mission projects throughout the US and around the world, sending and supporting missionaries in Africa, the Philippines, and Canada. Click Here To Make Your Donation. 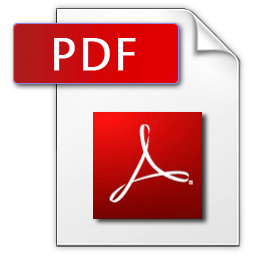 PayPal is a third party, secure, online payment service that allows individuals and businesses to transfer funds electronically.